if imitation is the sincerest from flatery, Tim is way overdue for a swelled head. the former DJ from Virginia who stood in the shadow of Jodeci's DeVante back in the day believes he's now ready for his own pedestal , And he has strong case After all, neither hip-hop, pop nor R&B can really claim him exclusive.His triple-time synchopated style has had more imitators than Elvis And Tupac. I heard that you walk around with a bank of sounds you created on a disc, Do you play any instruments or does it all come from your head? I fiddle with a little bit of everything butI don't play. and I don't wanna learn how to play cause I might lose my touch. I don't know nuthin' bout writing music. I can hear everything by ear. I might play couple lil' chords but I know tone like a mug. It might be too articulate insted of me finding something and say"That's all". Magoo took a lot of heat from critics for everything from his voice to his rhyme skills. Do you thing he's stepped up this time around? Magoo is ready to shock a lot of people..i had people come into my sessions that didn't like him, and now when I play a couple of songs, they say he's okay. We just had fun this time Magoo trying to make a living being the best rapper he can be. you can't hate him for that . Black people hate too much, you won't find no white kids saying that Backstreet Boys album was wack, even though I know there are seven wack songs on there, We've sold a million and a half records as a group me and Magoo. Y'all ain't gotta like everything we do but give it a shot. Your friend Pharrell makes a lot of political Statements on the new N.E.R.D. project.Do you ever think about things like commitment to the culture or resposibility as a musician? that stuff will kill ya. With the seeming lack of recognition from peers and industry people, what keeps you going? The fans i just wanna thank all Of the women saying they love my beats. Dudes came after but hated at first. I knew I was hot when I had girls paying attention to my beats. What female you know pay attention to beats? I used to be a DJ and been in music all my life and I ain't never hear a girl say they like a beat before me. They say they like a song. Now they say that beat , So I gotta give this article back to the people 'cause they a real big fan of mine 'cause this is a job just like McDonald's and I don't wanna get laid off. 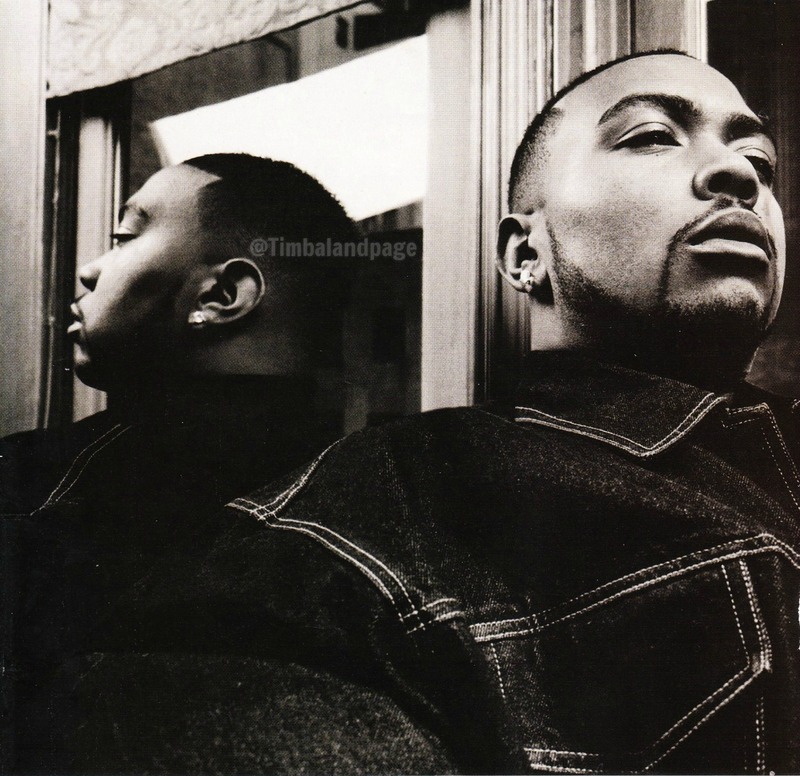 There Have been a lot of Timbaland Copycats over the years Is it because it's cheaper to mimic you than to hire you? I'm High as Crap. I'm so high [priced] amaze myself. People don't even ask me no more. I don't like producing outside my camp. I don't wanna make record companies no hits no more. Hits is boring to me I'm on a new page. I gotta get back to that. The only person that can get something from me anytime. Why do you call your album Indecent Proposal? I'm a Master at all games. Any dice you wanna roll, be prepared to pay me cause you gonna lose. I called this album "Indecent Proposal" cause I bet you a million dollars you gonna like it. You seem to draw upon influences outside Hip Hop, whether R&B or whatever,Is there anything in hip hop that really moves you to wanna create? I don't even listen to rap music, Rock people influenced me. the only hip hop album that ever influenced me was Dr.Dre 2001, The way it was mixed . how the songs flowed then it was Stankonia. Thatput a little smile in my heart . There's a lot of creativity going on on that album. The rest of em out there is just records. People say you got your style from jungle and drum 'n' bass.Is that true? Man, I didn't know nothin' bout no drum'n' bass. I hadn't even been to london back then. But can you see how people madr the comparison? Naw, man, that mess was fast! Mine had more rhythem, more syncopated. 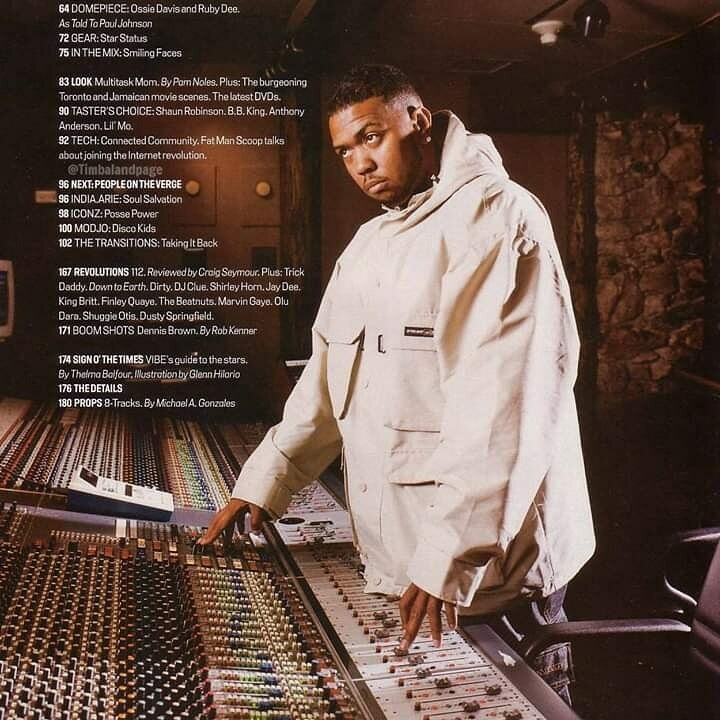 Where do you see yourself in relationship to other producers like Dr.Dre? Me and Dre are like the movie Devil's Advocate, where he's the devil and I'm Keanu Reeves. He's Daddy looking down over Son. We shouldn't be in a category with other producers. We are official producers, We gotbig-title belts I hate when people try to compare me to people that are my friends, like the Neptunes or Swizz Beatz. I hate that. These are young Black men trying to do their thing .I do feel that me and Dre and Jermaine Dupri are separate, though I say ''Us'' because we know how to break an act . Teddy is Poppa Don. Im not saying he's out of The game , but he's on the same wavelength . I say Jermaine is over me because hes been doing it since he was young. He's broke new acts and had hits. Then it comes me. You can't forget about puff, Y'all might've talked about him sampling, but how many people sampled the same thing he sampled and didn't work? Like that ''One More Chance'' Remix. I heard that before he used it on Big but he made it work , I can't explain to you what the formula is. But we know it when we hear it in our heads like, ''BLING!'' there it is. Does that ''Bling'' have anything to do with why you consider yourself a genius? Anytime I got people from overseas dancing, I'm Mozart. A lot of people know how to play and still can't make beats as dope as me. I can tell a girl what to sing and how to sing it. I can write a hook off the top of my head. I just love what I do It's a musical gift that god gave me . "Is that Your Chick" is a year and half old and look how it sound today? "Pony'' was three years old when it came out. What does that tell you? It seems like producers are getting more light these days than ever. Still, is it enough? I just feel like producing is such a hard thing. There's always a newcomer, but you don't hear about the newcomer after a certain number of songs . The Neptunes are peeps. I used to be in a group with them . and they from my hometown, But I don't want the puplic to look at then just for now and not tomorrow. Don't just pay attention to them when they've got a hit record Just because we do a song with Jay-Z, We get attention. Thats bogus. A lot of People who hire you also use DJ Premier [Jay-Z, Lox, Nas]. Why do you think that is? You gotta go back to Premier. He's the ghetto king. I think his perfect match in heaven was Biggie. That was his magical artist, Big and Premier had something special. O could do the dirty, grimy records. I could go back on a Roland 808, But Premier got that on lock.